Simplified, eating clean means stripping your diet of nutritionally meaningless foods. This means no fatty, fried, processed, sugary stuff. In comes the WHOLE FOODS. Did you know that eating clean actually means you can EAT MORE??? That’s right. You can eat more on LESS calories. How amazing is that. Who doesn’t love eating??? Umm I do. I love eating and if I can eat more, gosh darnit, I will! Eating things like lean protein (chicken breast, turkey breast, fish, tofu, egg whites etc. 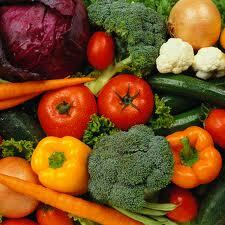 ), veggies (broccoli, kale, romaine lettuce, green beans etc. ), whole grains (quinoa, oatmeal, bulgur, brown rice, etc. ), and good fats (almonds, avocado) will keep you fuller, longer. Why? If you eat processed foods, they are pretty much already “broken down” for you, so the time it takes to digest a french fry will be waaaaayyyyy quicker than the time it takes to digest a baked sweet potato with skin. Make sense? And processed foods usually have a TON of sugar, sodium, and preservatives that can make them quite addicting. If you try to ween away from chips, candy, and all that other “bad stuff”, your taste palette will rewire itself so that you won’t want it anymore.